You've probably noticed I've stopped writing about politics. To be honest, I've largely given up. 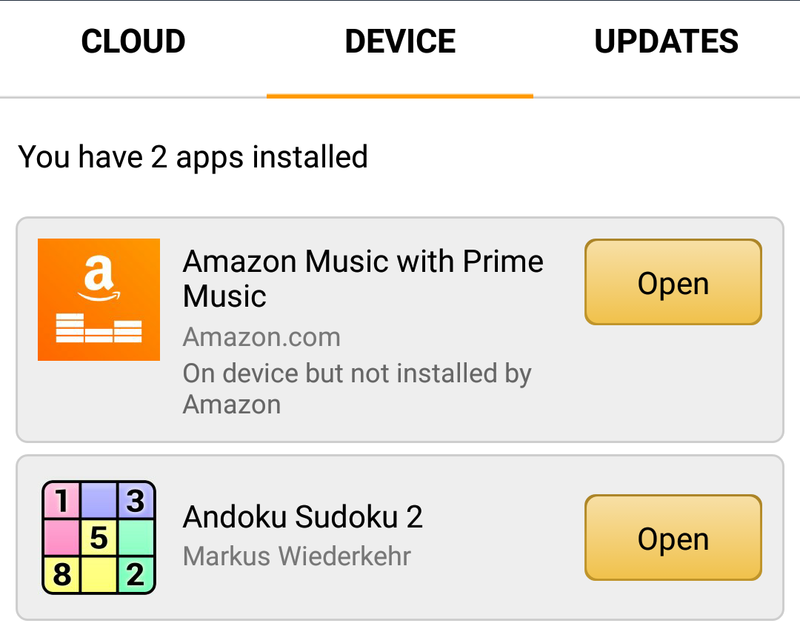 That leaves us with randomness, and I have some today: Amazon Apps stinking on Android. That's actually Mahjong, for reasons I'll explain shortly. The error is the same, though. At that point we were fluctuating between 3G and 4G, so maybe it was the connection. So, we tried WiFi where we were. Same error. WiFi at home (we have a rock solid connection at home with great throughput). 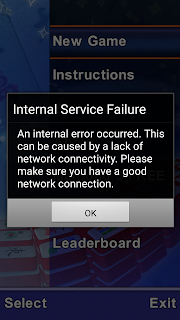 Same error. 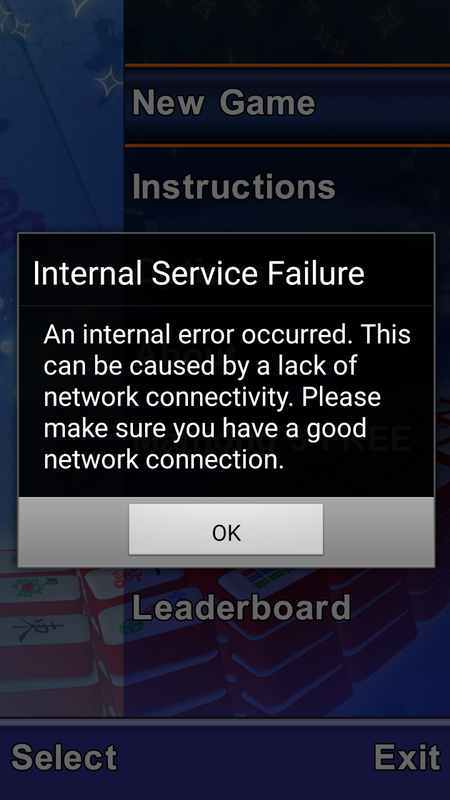 So, I tried an uninstall from the Android Application Manager with the intent to reinstall. Woops. There's no install option. Pressing "Open" makes it think for a brief second, then nothing. Pressing and holding Andoku 2 gives an uninstall option. I tried that to see if that would make Amazon recognize the app wasn't on my device. Nope, it pretended to uninstall and then nothing happened. I'm sorry for the trouble you faced with "Andoku Sudoku 2" app on your device. I understand that in order to fix the issue, you've uninstalled the app "Andoku Sudoku 2" and now you're unable to reinstall it. There can be several reasons behind this issue. Unfortunately, we are unable to determine the exact cause for the same. I would love to assist you via email but this issue is too complex and can't be addressed via email. Seeing the complexity of the issue I request you to please contact us via call or chat so that we can try some real-time troubleshooting in an effort to resolve this problem. This will allow us to do real-time troubleshooting and see where this process is failing and provide the troubleshooting steps to resolve the issue. The reason we ask you to contact us over the phone or chat because when we have a live interaction with you, will allow us to do real-time troubleshooting and provide step by step troubleshooting to resolve the issue. Please understand we don't want to provide any unwanted information which may caused any inconvenience to you or your device. I hope you understand our limitation via email. I understand asking you to reach us through live medium may cause inconvenience to you, but it helps us gather some additional information to help resolve this problem. I'd request you to click on the below link and choose "Chat" or enter your contact number in the phone tab so that we will call you right away and get this resolved for you. Um, seriously, Amazon. Now, this fellow speaks way better English than I speak his language, but this still looks like something written by Mojo Jojo from the Powerpuff Girls. Mojo, this was a $2 app. Just make my account recognize it's not installed on the phone. Okay, this is actually Bubbles doing a Mojo Jojo impression, but if you read the above e-mail, you get the idea. As for giving my information over the phone to this fellow who is likely in India, I think I'll pass. For a $2 app, I don't need to spread my information over several continents for that. It was a relatively cheap way to learn an important lesson: If I'm running Android, I should probably buy my apps from the Google store, not through the Amazon App store. I did tell their customer service I'd share this lesson with my friends. Howdy, friends.